as i said during the marathon, this is better than any flaming lips live performance of the last 10 years! Yes, as I also said during marathon, much better than original. Great minds (& ears) ! Thank you for playing. 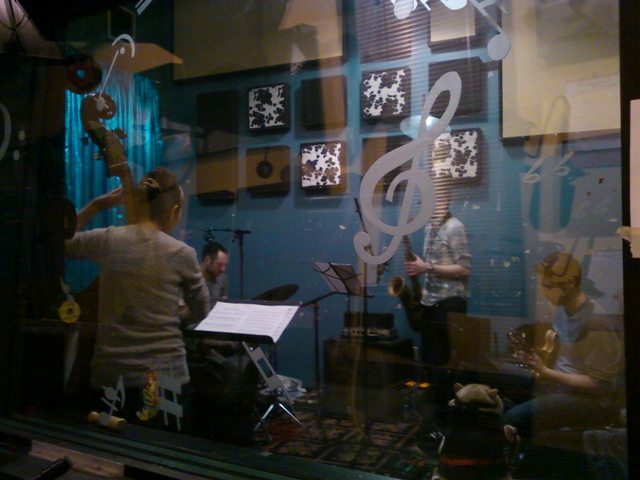 i have a live session coming up soon from The Happy New Years - amazing jazz group. stick around! Chris M., I'm looking forward to that upcoming live set. oh wow, this live set sounds great already! @Kiemzi: you are so correct! Hey Chris, enjoyed that set. Cheers! glad to hear it! the world premiere of The Happy New Years! acch, came in at the tale end of that happy new years set and was mad impressed by that chopin take---know where I could here this WFMU set one day? Chris M., you are the first person I thought of when I saw that Mutilation Rites will be playing in Seattle on Tuesday night. I will be there, ready to feel the room pitch and bend. Adam: i'm flattered! great band - you won't be disappointed seeing them live. Yes, Congolia, come along! Inter Arma and Bell Witch are great bands as well that are a part of the bill. Thanks, Chris M., for exposure to MR! Kadavar too! Just a wrecking bill all around!